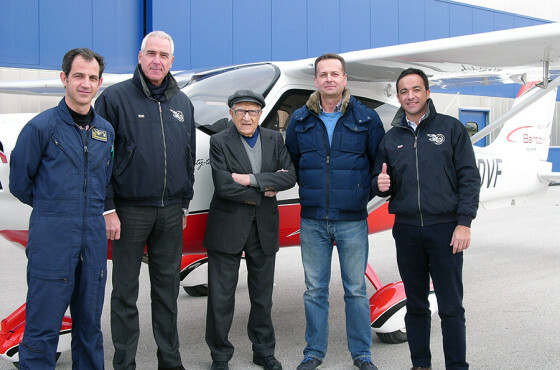 Tecnam achieved a significant milestone today with the delivery to Bartolini Air, Poland’s leading Flight Training Organization of the 200th edition of the Tecnam P2006T Twin. In a remarkable 10 years, the Tecnam P2006T Twin’s has established itself as the aircraft of choice for not only the world’s most reputable Flight Training Organizations but private owners alike. With 200 P2006T’s now in service worldwide, it consistently comes out on top following the most stringent of competitor fly-off evaluations. Not just from Flight Schools but Tecnam has partnered with NASA, a number of Air Forces and other niche operators who now fly specialist versions of the Twin such at the P2006T SMP version too. 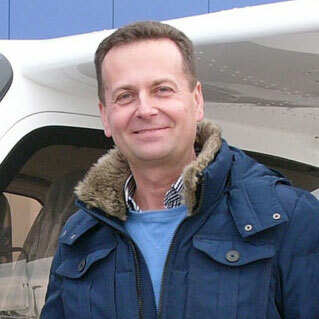 Bartlomiej Walas, Managing Director of Bartolini Air, who flew the aircraft directly from Tecnam’s Capua production facility to their home at Lodz Airport in Poland said “For the many prospective commercial aircraft pilots we are training, our clients and customers, Bartolini Air is “where the story begins” for them. A story that wouldn’t be possible for us all without Tecnam. I still vividly remember the first time a saw a picture of the P2006T on the cover of an aviation magazine. It was just a drawing with a short description inside of it. I said to myself, this is exactly what we need to take the Bartolini Air training offering into the 21st Century”. Today Bartolini Air operate an all Tecnam training fleet of 12 aircraft: 9 singles and 3 twins. Operates over 12,000 flight training hours a year and qualifies more than 200 students who go on to fly for many of the world major airlines. Paolo Pascale, CEO Tecnam said “Key to the success of the P2006T Twin has been our commitment to offer our customers unbeatable value, coupled with low operating and ownership costs, innovative design and Italian styling. The Rotax ‘912S3’ engine in particular enables the Tecnam P2006T to lead with respect to the environment too. With both a remarkable fuel saving offering and much lower noise emissions, it has redefined both the flight training and aircraft ownership experience in one step”.